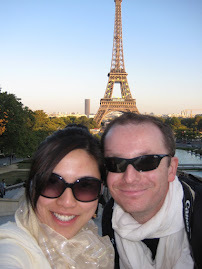 Expatriate in KL: You Are A Brand - Value Yourself! 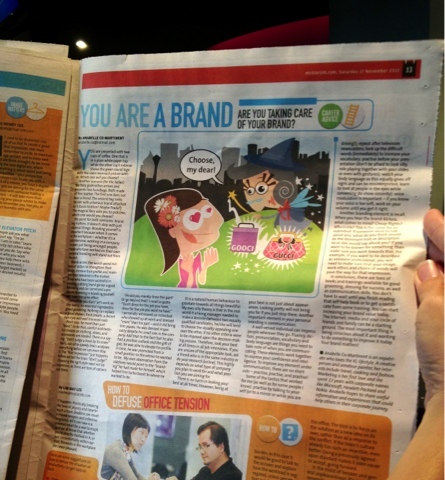 My second article was published in the Star Newspaper a few weeks ago. What made me happy is not the fact that it was printed, but having someone write to me as a reaction to it. It is a great feeling to know that you have touched someone -- whether it was my painting, or my writing, or something I created or maybe what I said. I am glad my blog did help out a few people, and I even ended up gaining a number of good friends ... all fruits of my labor because I wanted to help out. 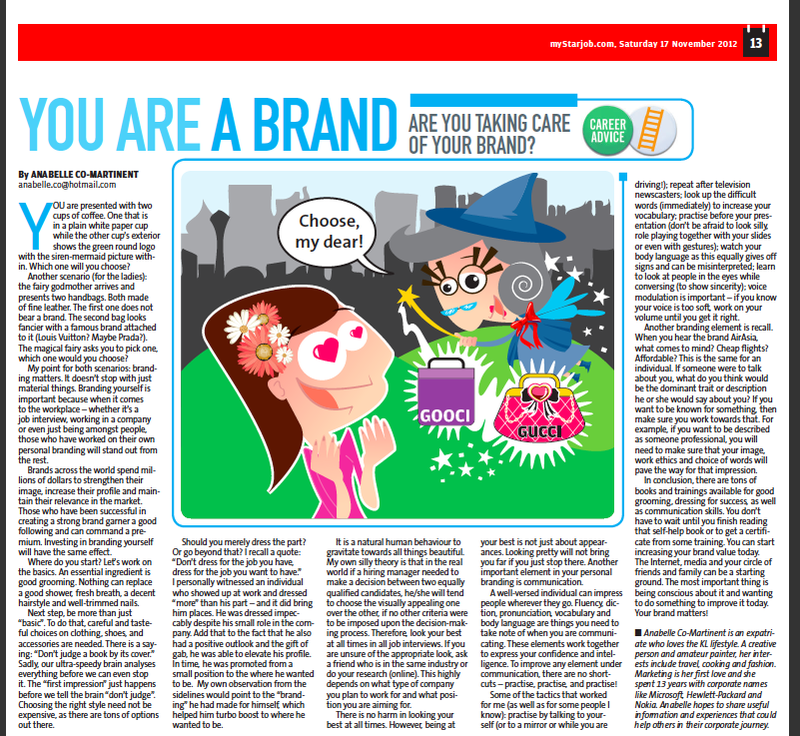 The article I wrote was about branding... not just any brand. This is about branding yourself -- increasing your own value, your own worth especially in the world of career. I myself have been through that ladder. And I wanted to share some insights to people who are out there constantly trying to improve themselves while in the working world. You are presented with 2 cups of coffee. One that is in aplain white paper cup while the other cup’s exterior shows the green round logowith the siren-mermaid picture within. Which one will you choose? Another scenario, (for the ladies): the fairy godmotherarrives and presented two handbags. Both made of fine leather. The first onedoes not bear a brand. The second bag looks fancier with a famous brand attachedto it (Louis Vuitton? Maybe Prada?). The magical fairy asked you to pick one,which one would you choose? My point for both scenarios: branding matters. It doesn’tstop with just material things. Branding yourself is important because when itcomes to the workplace – whether it’s a job interview, working in a company oreven just being amongst people, those who have worked on their own personalbranding will stand out from the rest. Brands across the world spend millions of dollars tostrengthen their image, to increase their profile and to maintain theirrelevance in the market. Those who have been successful in creating a strongbrand garner a good following and can command a premium. Investing on brandingyourself will have the same effect. Where do you start? Let’s work on the basics. An essentialingredient is good grooming. Nothing can replace a good shower, fresh breath, adecent hairstyle and well-trimmed nails. Next step, be more than just ‘basic’. To do that, carefuland tasteful choices on clothing, shoes, and accessories are needed. There is asaying: “Don’t judge a book by its cover.” Sadly, our ultra-speedy brainanalyzes everything before we can even stop it. The “first impression” justhappened before we tell the brain ‘don’t judge’. Choosing the right style neednot be expensive, as there are tons of options out there. Should you merely dress the part? Or go beyond that? Irecall a quote: “Don’t dress for the job you have, dress for the job you wantto have.” I personally witnessed an individual who showed up at work anddressed “more” than his part – and it did bring him places. He was dressedimpeccably despite his small role in the company. Add that to the fact that healso had a positive outlook & gift of gab, he was able to elevate hisprofile. In time, I watched him grow from a small position to the place wherehe wanted to be. My own observation fromthe sidelines would point to the “branding” he has made for himself, whichhelped him turbo boost to where he wanted to be. It is a natural human behavior to gravitate towards allthings beautiful. My own silly theory is that in the real world if a hiringmanager needed to make a decision between two equally qualified candidates, he/shewill tend to choose the visually appealing one over the other, if no othercriteria were to be imposed upon the decision making process. Therefore, lookyour best at all times in all job interviews. If you are unsure of theappropriate look, ask a friend who is in the same industry or do your research(online). This highly depends on what type of company you plan to work for andwhat position you are aiming for. There is no harm in looking your best at all times. However,being at your best is not just about appearances. Looking pretty will not bringyou too far if you just stop there. Another important element in your personalbranding is your communication. A well-versed individual can impress people wherever theygo. Fluency, diction, pronunciation, vocabulary and body language are thingsyou need to take note of when you are communicating. These elements worktogether to express your confidence and intelligence. To improve any elementunder communication, there are no shortcuts – practice, practice, and practice! Some of the tactics that worked for me (as well as for somepeople I know): practice by talking to yourself (or to the mirror or while youare driving! ); repeat after television newscasters; look up the difficult words(immediately) to increase your vocabulary; practice before your presentation(don’t be afraid to look silly role playing together with your slides or evenwith gestures); watch your body language as this equally gives off signs &can be misinterpreted; learn to look at people in the eye while conversing (toshow sincerity); voice modulation is important – if you know your voice is toosoft, work on your volume until you get it right. Another branding element is recall. When you hear the brandAir Asia, what comes to mind? Cheap flights? Affordable? This is the same for theindividual. If someone were to ask about you, what do you think would be thedominant trait or description they would say about you? If you want to be knownfor something, then make sure you work towards that. For example, if you wantto be described as someone professional, you will need to make sure that yourimage, work ethics & choice of words will pave the way to that impression. In conclusion, there are tons of books and trainingsavailable for good grooming, dressing for success, as well as communicationsskills. You don’t have to wait until you finish reading that self-help book or toget a certificate from some training. You can start increasing your brand valuetoday. The Internet, media and your circle of friends and family can be astarting ground. The most important is being conscious about it and wanting todo something to improve it today. Branding matters. Hi that is so true - and so easy to forget in the busy-ness of life and career. Thanks! Most welcome and live every moment to the fullest!!! 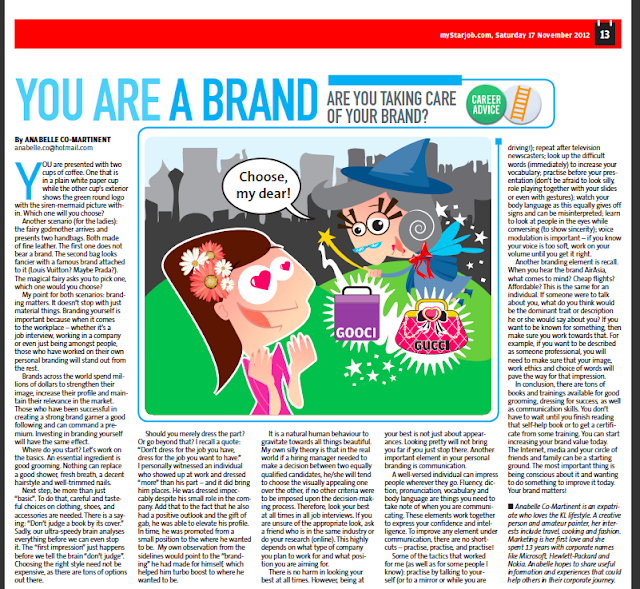 I am a person with no "brand"
after reading your article i know that it is time for me to start branding myself. Most welcome and glad I could help in some way... All the best to you! I read that article not knowing it originated from you . It is so true,people do judge the book by its cover. It is liberating to know a smart Filipina like you especially if that Filipina is a wife of your boss. :) Nice blog you have here I enjoy reading it . hi! thanks for reading and what a coincidence!! !